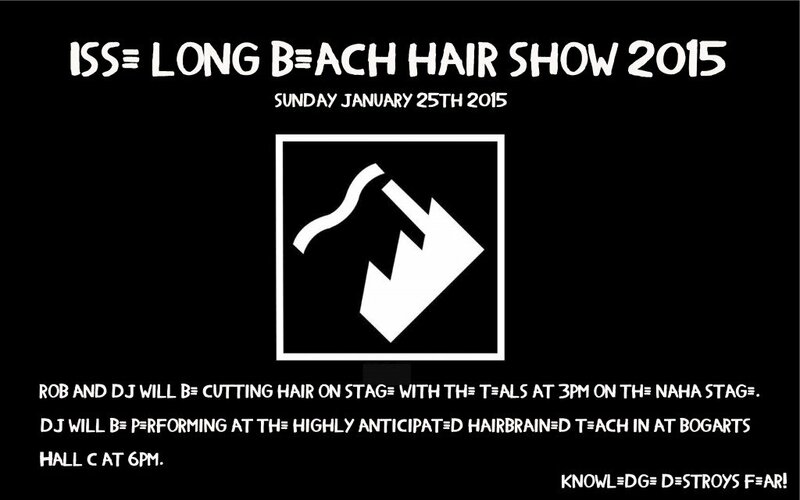 Rob and DJ will be cutting hair at the ISSE Long Beach Hair Show 2015. Firstly with ‘the Teals’ on the Naha Stage at 3pm Sunday January 25th. And DJ will be cutting at the highly anticipated ‘Hairbrained Teach-In’ at 6pm Sunday January 25th at Bogarts (Hall C). We are looking forward to seeing loads of old and new friends there.